Nonhuman personhood is as contentious as it is confusing for those who have not taken the time to fully understand the legal concept. However, as personhood activism increases in frequency, so too does its acceptance by the public and governments the world over. On February 4 Remus Cernea, an independent MP in the Romanian government, drafted a law proposing that dolphins be considered nonhuman persons. This comes after the global spotlight was once again focused on Taiji, Japan, as the notorious fishing town captured over 250 dolphins, including one albino dolphin named Angel, igniting a firestorm of opposition. Cernea's initiative builds off of a landmark campaign initiated by Earth Island Institute's Dolphin Project and the Federation of Indian Animal Protection Organizations (FIAPO), that resulted in a total ban on cetacean captivity throughout the nation and included an historic statement from the Ministry of Environment and Forests (MoEF) declaring that dolphins should be considered nonhuman persons (for the full text of the statement, click here. We persuaded MoEF minister Jayanthi Natarajan to make the first ever statement of governmental support for dolphin personhood by showing her the science behind the arguments, compiled in a document with help from many respected scientists and organizations. In making the statement, not only did Natarajan solidify India's position as a global leader in animal rights but also took the first brave steps down the road to our collective evolution of the way we think of and treat nonhuman animals. As a species, we have arrived at a point where our collective ethics have not yet caught up to what we now scientifically understand about dolphins (and indeed, other nonhuman life). Political theorist Hannah Arendt wrote about the ‘dark times' that occur when generally accepted theories and societal laws become out of sync with human knowledge. We now find ourselves in such a time, when what we have so long believed about nonhumans – that they are unthinking machines designed solely for our exploitation – turns out to be scientifically bunk. 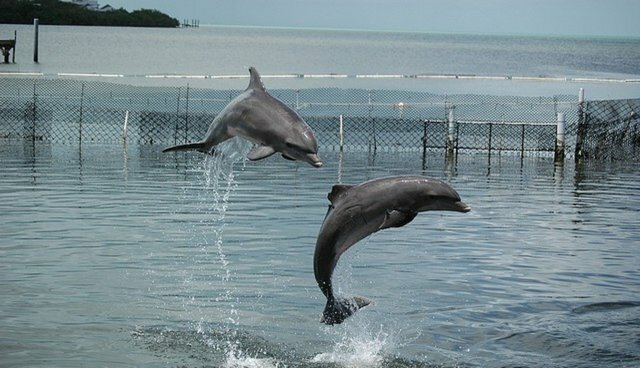 Because we have experimentally established within dolphins the existence of so many traits that were once considered to be the hallmarks of humanity, such as self-awareness, emotions, cognitive complexity, and so much more –we can no longer ignore their capacity for suffering or the immorality of abusing a thinking, feeling being. We don't have a word -- much less a concept in law -- to suggest that simply the existence of any species is its own sufficient justification for rights or fair treatment. We must therefore proceed step by step, making use of the existing anthropocentric terms to get the courts to begin to consider nonhumans as eligible for any rights. Otherwise, they remain property for us to manage, use and abuse. This is where personhood comes in. While the term is not perfect, being somewhat confusing and highly anthropocentric, Steven Wise of the Nonhuman Rights Project argues that it is the necessary first of many steps that will eventually open the door for actual animal rights. The initial question his work addresses is whether a nonhuman has the capacity to possess any legal rights. While this question might seem obvious to us, to the courts it is not. By making dolphins nonhuman persons, governments would be legally obligated to protect them from slaughter and abuse. They would be placed ‘beyond use' of human beings, which no other creature on this planet currently is. As I often find myself repeating to naysayers, giving dolphins rights does not mean they will be expected to vote in the upcoming election, nor will they be opening Twitter accounts, as interesting as that might be -- rather, the rights we are talking about are only the most basic: the right to live freely in the oceans, without being harmed. These are things, it's worth noting, that they currently have no right to. Of course, beyond court systems and governments lies the individual. Each of us has a responsibility to learn about who dolphins are, or at the very least, not to staunchly argue against scientific fact. Might these realizations bring about some uncomfortable truths about the ways we conduct ourselves on this planet? Likely, yes. But compassionate people like Natarajan, Cernea, the activists at FIAPO and countless others around the world are paving the way towards a brighter future for dolphins and nonhuman life. They have demonstrated what we must do in order bring our worldviews up to speed with our ever-expanding knowledge. We are still just beginning to understand who dolphins are, but we can no longer ignore their suffering at our hands. It is up to each of us to change our attitudes for their very worthy sake.